Pay Per Click or PPC is the fastest way to generate targeted traffic to your website or landing page. This is typically the best quality traffic as they came through targeted keywords. The conversion on PPC is strong resulting in increased income. 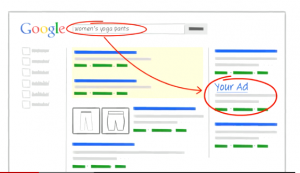 PPC is the best way to sell your own products. Both social and search PPC are effective channels to sell own products. Here’s a quick checklist to make sure that PPC brings the best ROI when selling your products. First things first, most new visitors won’t buy your product in the first visit. This is common behavior. This is why we need to re-market and follow up. The idea here is to catch the leads when you fail to strike a deal. Have a subscription form ready with minimum details. Just the name and the email address is enough. I’ve found bounce rates on sign up sheets to be much higher when the prospect must enter a lot of information about themselves. When you get them on the list, just followup and this time they will be more confident in buying from you as they know you better. Pay Per Click can be used to earn money even if you do not have a product of your own. Getting a product ready takes time and money. But you can always start selling other people’s products and earn a commission. PPC costs pennies, OK a lot of pennies, but for products which high enough price tags the conversion makes sense. If the campaign is targeted properly it will give you clicks that will cost pennies but convert into bigger dollars. There are many sites like commission junction, eBay or Clickback which has endless affiliate products to sell and earn commission. However, individual sites in the webhosting or wordpress niches offers affiliate opportunities too. All this can be converted with a nicely targeted PPC campaign. An email list is built for many reasons. This is the ultimate freedom for a marketer. As long as you own and maintain an email list, you can easily sell and re-sell your products and keep earning a commission. PPC can be used to quickly build up an email list. The process requires an excellent landing page, which is up to the point and minus all distractions. It should only have a few key pointers with a name and an email signup fields and preferably an image that points to the signup form. Certain PPC platforms discourage this idea, so do research about the platform you are using before you implement this idea. Traffic from PPC is really targeted; with options to choose demographics the conversion rate on the signup form becomes pretty high. PPC is scalable, so it is easy to get the numbers without losing quality. With PPC you have the flexibility to bid more and gain more clicks on your ads. This is particularly helpful when you are targeting items that can convert into huge sales. One sale and it can make you some top dollars. That way, you don’t have to worry about getting constant sales throughout the month. You can earn well from just a few sale. The only downside is that such heavy converting products have huge competition. This is where PPC works best. All you have to do is, increase the amount per click and the PPC network – be it AdWords, Chitika, Infolinks or Facebook ads, they will place your ad on the top, if your bid is maximum. 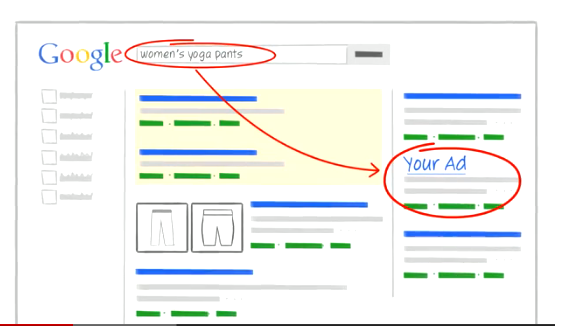 For PPC ads to do well, landing pages matters. Expecting to make sales on a homepage, on a blog post or on your social media fan pages is a bit of a stretch for your optimism. To convert sales all you need is the product and the full focus of the page should be on that product. No distractions, no social sharing buttons etc. As long as the product gets the visitors full and undivided attention, conversion rate will be good. Counties like the US, European counties etc. cost significantly more. But these are the countries that bring in paying buyers. While on the other hand targeting visitors from countries in Asia are cheaper, but they hardly convert. If you objective is to drive traffic, Asia is the way to go, if you want to drive revenue the US, Canada, Australia and the EU are the only option. This step will largely depend on the product you are selling. If you are getting conversions from the Asian countries, then it is wise to keep targeting them. If they aren’t then it is time to spend more and target the western countries. Pay per click is all about testing. One needs to set up ads and test them with a small budget. With platforms like AdWords, Chitika, Yahoo-Bing ad network, with in-text platforms like Kontera and InfoLinks, and social PPC like Facebook, Twitter, Reddit etc. making quick conclusions of what works and what does not is not an easy work. Only with constant testing with a small budget and analyze results and making improvements can one make the most of PPC. This is the only way to maximize ROI and income with PPC. As always, I hope these ideas help. Feel free to visit my other resources. I have a content marketing blog at BrianNewmark.guru and my company website is Augment.Marketing. I look forward to your feedback. Share your comment 14 responsesTO Increase Your Income Utilizing Pay Per Click, by Brian Newmark. From the long time ago I am earning from Pay Per Click but Brian Newmark is really different to me, it is mostly useful place to earn more money by this Pay Per Click. It is really important because it have a affiliate system from where we can earn more. Brian [email protected] Thank you for your information about Pay Per Click. It’s provided us best opportunity to learn PPC techniques, also affiliate marketing. Personally I am very satisfied to see it. Really Brian Newmark is a world class marketing expert. Not only selling our own product but also you can earn a sufficient amount of money by selling affiliate marketing product. Pay per click is the most effective method to do this. And of course Brian Newmark provides awesome service. Brian Newmark is really important for the pay per click because from where we can make more money by affiliate products. So it is really important to all and I love it very much for this. I think PPC is the best way to bring some customers to your website and get the increase of sales of your products.Thus you can earn a lot.I support Brian Newmark’s suggestions which is always helpful to any site. Pay per click is a best way to earn money on online. Brian Newmark help how to earn lot of money by pay per click site. This post is very helpful to me.Thanks. I find your post very exciting. More great content from Brian Newmark about Pay Per Click Thank you so much for sharing your insight. I am doing some ptc job. But what is the Pay Per Click by Brian Newmark? And can i work this site safely ?